Want to be notified of new releases in vmchale/tw-rs? The rust version of this tool is somewhat faster than its haskell counterpart, but the haskell one has a couple more features. 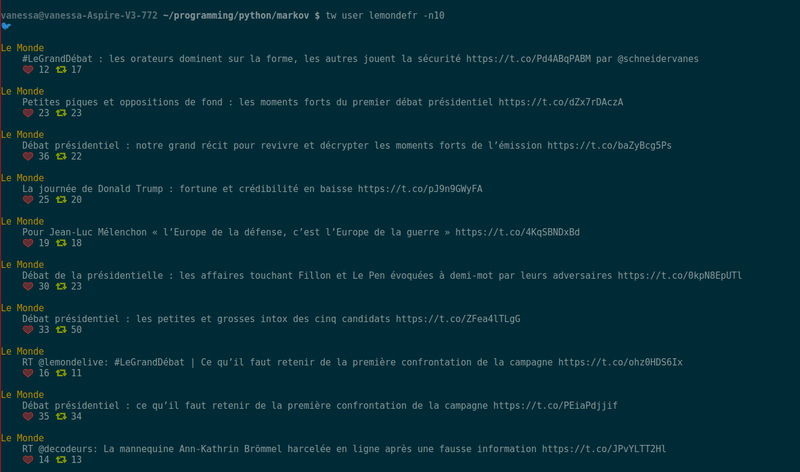 You want a twitter library for rust. Note that the labels must in the correct order, and separated from the keys with whitespace. Then type cargo install tw-rs. 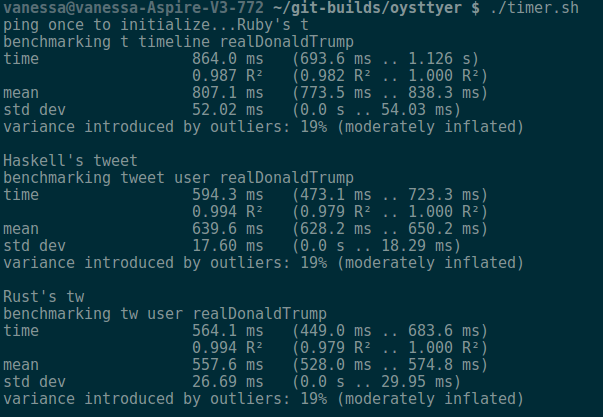 In the bash directory you will find a script that times tw-rs, tweet-hs, oysttyer, and t fetching tweets. On linux, it consistently places tw as the fastest. These aren't 100% great benchmarks since twitter's load varies, but tw does come in first consistently. This is done with haskell's bench tool. A library is included. It's fairly easy to use once you have the credentials set up, though it requires a fixed oAuth token. There is a haskell version of this, with a binary and a library, available here. The haskell library is more complete.